Newcomer Family Obituaries - Annie Britt Burgess 1944 - 2018 - Newcomer Cremations, Funerals & Receptions. Fort Logan National Cemetery - Wednesday, August 15, 2018 at 12:30PM Area "B"
Annie Britt Burgess was born in Abbeyville, Alabama on June 6, 1944 and entered into eternity on August 7, 2018 at her home in Aurora, Colorado. She was born to the late Mr. and Mrs. Frank and Lillian Hogans and was the youngest of six siblings. At the age of nine, the family relocated to Panama City, Florida. She graduated from Denver University in 1995 with a Bachelor of Arts in Clinical Psychology and Pre-Law Philosophy. Her husband, Clyde Sr., often said that she liked to do things her own way. Out of respect and love, he stepped back so that she could live her life on her own terms until the very end. And what a life it was. 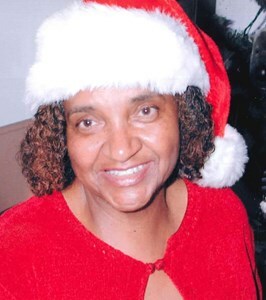 Annie was a military wife (Air Force, 22yrs, retired) and traveled the world extensively with her husband and two sons, Clyde "Reggie" Jr. and Cornell. They lived 10 years abroad in the countries of Turkey, Germany and Japan, and did extensive traveling in the countries of France, England, Belgium, Monaco, Amsterdam, Syria, Canada, and Greece (where she famously took on the police over a merchandise refund). Ann and Clyde eventually settled in Colorado and have lived in Aurora since 1979. Annie had numerous hobbies and interests including cake decorating, crocheting, reading, and attending Bible studies. She could frequently be seen happily working in her yard, out in front of her home, sweeping and raking away while arrayed in very colorful attire. She loved eating out with her family and had the amazing talent of being able to enjoy a single cup of coffee for over an hour. She and Clyde shared 53 years of marriage and in that time they continued to travel. They especially enjoyed attending Hogans and Burgess family reunions (they made it to each and every one)! She was a member of Toastmaster's and had a career in volunteerism which included working with political campaigns, for the Aurora Municipal Court, as a Child Abuse Case Worker, and in retail management. To cherish her memories, she leaves a devoted husband, Clyde Burgess, Sr.; two sons, Clyde "Reggie" Burgess, Jr., (Antoinette) of Denver, Colorado; Cornell Arness Burgess (Stephanie) of Alexandria, Virginia; four siblings, Elvira B. Bulger of Detroit, Michigan; Earyn L. Salter of Detroit, Michigan; Shirley H. Brown of Layton, Utah and James P. Hogans (Joyce) of Detroit, Michigan, three granddaughters, Bridgette N. Burgess of Los Angeles, California; Amanda F. Kimbell of Apple Valley, California; Genesis M. Burgess of Denver, Colorado; two grandsons, Ian J. Burgess of Alexandria, Virginia; Liam S. Burgess of Alexandria, Virginia; one great granddaughter and a host of nieces, nephews and friends. Preceding her in death was her brother, Frank H. Hogans, Jr.
To share a memory of Annie or leave a special condolence message for her family, please click the Share Memories button above. Add your memories to the guest book of Annie Burgess. Words cannot express how saddened we are to hear of the passing of one of our favorite aunties, Annie Britt. Auntie was a blessing to us all here in Detroit. We will miss her dearly! Sending love and peace from the Detroit, Michigan Bulger Clan- (Allen, Jr., Edward, Kelvin, Annette, Brenda, Marty, and Terrance, and a host of great nieces and nephews). Clyde, Cornell and Reggie we pray God will strengthen you in the days, months and even years ahead. Be strong in Christ! Auntie Britt wouldn't have it any other way. Your light shined so brightly that all who knew you could see the Glory of God upon you. Your joy was contagious! I especially admired your attentiveness, your wisdom, your faith in God, your anointed singing, and your profound counsel about life. You also showed me the blessings of a good marriage. All of your nieces and nephews from Detroit are especially fond of you (and Uncle Clyde) for taking pictures and videotaping everyone. Although we didn’t see you often, great memories were created. I will miss you dearly my sweet caring Great Auntie. In memory of my Baby Sister-Britt Hogans-Burgess: Many nieces and nephews are feeling the pain of the loss of Aunt Britt. Sister, I'm grieving to the utmost! It is hard to say good-bye, so I am saying so long until we meet again. Baby sister, I know the journey was not always easy, but you hung in there and you always talked about serving and praising the Lord. I will forever keep this memory of you in my life. Baby sister, you will be missed so much! Now, I cannot love on you anymore. I will say this: sleep on in peace with the Lord. Love you Baby Sister! Your oldest sister, Elvira Hogans-Bulger--Detroit, Michigan. A message for Reggie and Cornell Burgess: I am sorry for the loss of your mother. Nephews, I want to tell you, I love you and I am praying for you. I loved Britt too, but sometimes God goes to the garden and picks the most beautiful flower in the garden, that's what happened with your mother. She was such a beautiful human being. So be strong in the Lord. God bless you Reggie and Cornell. I will be praying for you. Aunt Elvira Hogans-Bulger. Sister-in-law, nieces, and nephews of Detroit, Michigan. I loved your beautiful spirit, your smile, your voice and your laugh. So glad I got to see you and have dinner with the family. You will be missed. My Aunt Britt was a beautiful woman. Whenever I think of her I think about how she was always arrayed in her beautiful hats and her lovely jewelry. She always seemed to have a smile on her face. And no matter what, no one could pull her away from her camera, and her photo albums. Aunt Britt took pictures of everything, and everybody. Rest in heaven Auntie! We are saddened to hear of the death of Annie Britt. Anna had the opportunity to visit with her & Clyde in Denver several times and oh how Annie Britt enjoyed talking about Clyde, the grandchildren, all of her siblings and how Shirley had taken care of Uncle Frank during his last years. She loved the Lord and wanted everyone to know that. Annie Britt enjoyed showing pictures of family members and of course she was smiling as she talked about everyone. She loved her family! She even showed pictures of places she had traveled. She was just a happy person with a lot of love for everyone. Please know that we are praying for strength for the Burgess and Hogans Families during this time. heart felt sympathy to the entire family. May God give you strength and blessings at this hour. When I look back at our years growing up at home, I remember so much about my youngest sister Annie Britt. I helped to take care of her when she was a baby. I would carry her through the house. When she was old enough to go to school, I remember how pretty she looked when mom dressed her. Eventually I got married and left home. In addition, the family moved to Panama City Florida. I wasn't around regularly during Britt’s teenage years, but I remember our visits from Detroit and how Britt and my brother James (and sometimes Shirley-though she was older) would go out of their way to entertain my children. As a result of these trips, Britt and Clyde’s visits to Detroit and our visits over the phone, my children became very fond of their aunt. In fact, all of the nieces and nephews loved and cherished Britt. I think my sister was a very humble person. She was kind and positive with family members. I never heard her use any profanity. We enjoyed each other’s company. In recent months as her health began to wane she would tell me that she didn’t feel well enough to talk much. I can only imagine how she felt. I could go on and on speaking good things about my sister, however I will end for now. My sister will be missed immensely. I will never see her, nor hear her voice again in this life, but I delight in the hope that I will see her again in the new life to come. She was fun, fabulous and courageous. She was a writer, a poet and a queen. She would make you laugh and she laughed too. My aunt was a Warrior-in prayer. She served her husband, children, grandchildren, extended family, church, community and country well. The fruit of the spirit described her best -love, joy, peace, patience, kindness, goodness, faithfulness … (Galatians 5:22). To my classmate, Clyde Burgess, so sorry to hear of the loss of your wife Annie. So glad I had the opportunity to spend time with her last year when you two visited Ocala. She was such sweet lady. Burgess Family - My heartfelt condolences on the loss of your loved one. My thoughts and prayers are with you during this difficult time. May she rest in peace.